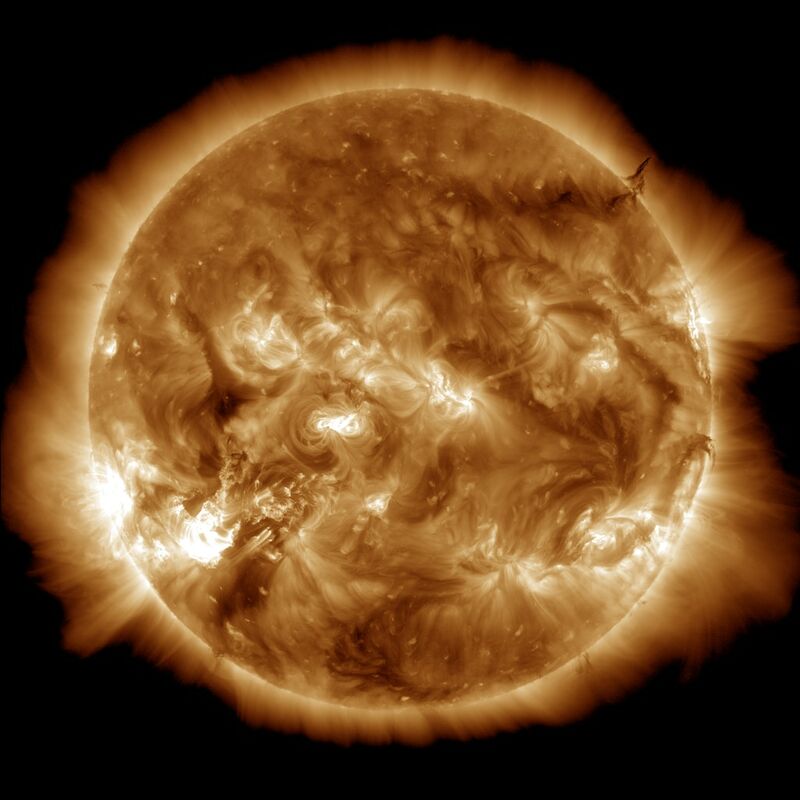 The Solar Dynamics Observatory (SDO) observed a large filament eruption on August 31, 2012. This visualization was generated using high time resolution (12 seconds) data from the Atmospheric Imaging Assembly (AIA). 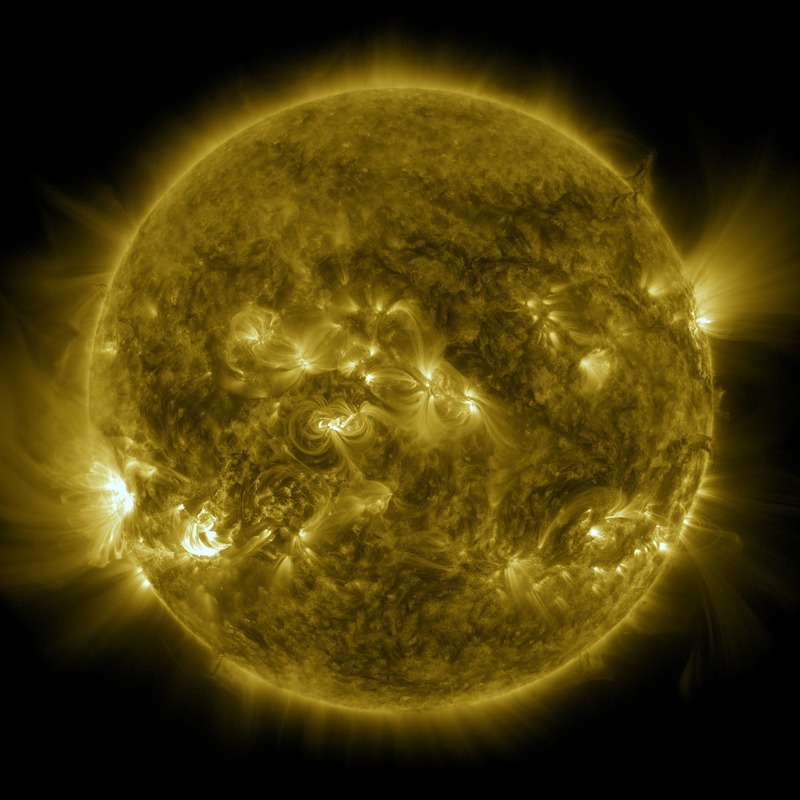 Two datasets are used, the SDO/AIA 304 Ångstrom wavelength (orange color table) and the 171 Ångstrom wavelength (gold color table). These are wavelengths in the ultraviolet band of the electromagnetic spectrum. They are not visible to the human eye or to ground-based telescopes so coded colors are used in presentation. 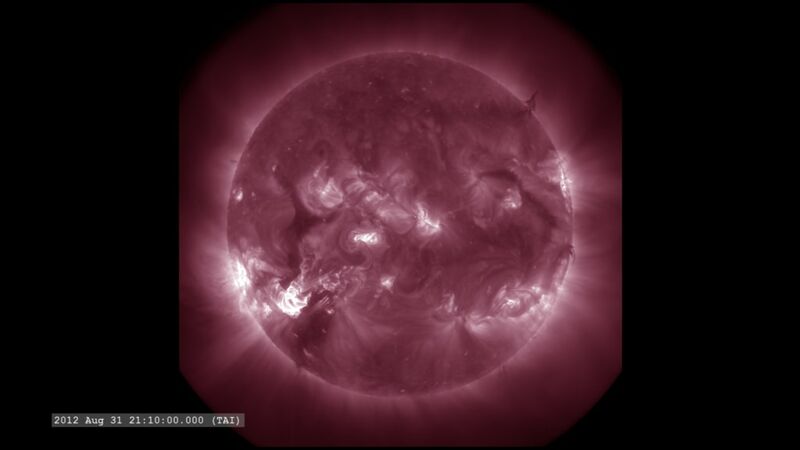 It is the source material for "August 31, 2012 Magnificent CME" visualization. 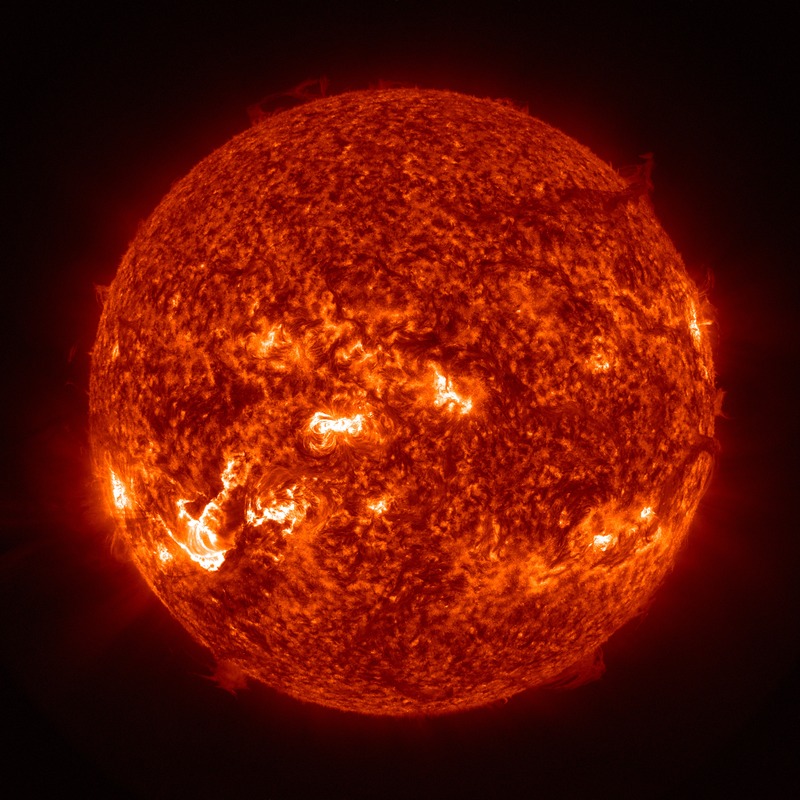 SDO movie at 171Ångstroms of the filament eruption on August 31, 2012. High-Def version. 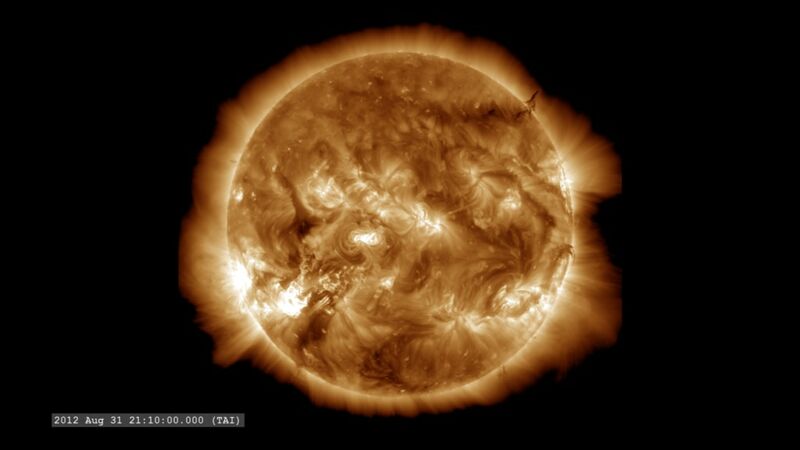 SDO movie at 304Ångstroms of the filament eruption on August 31, 2012. Hi-Def version. 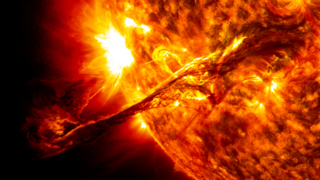 SDO movie at 131Ångstroms of the filament eruption on August 31, 2012. High-Def version. SDO movie at 193Ångstroms of the filament eruption on August 31, 2012. High-Def version. 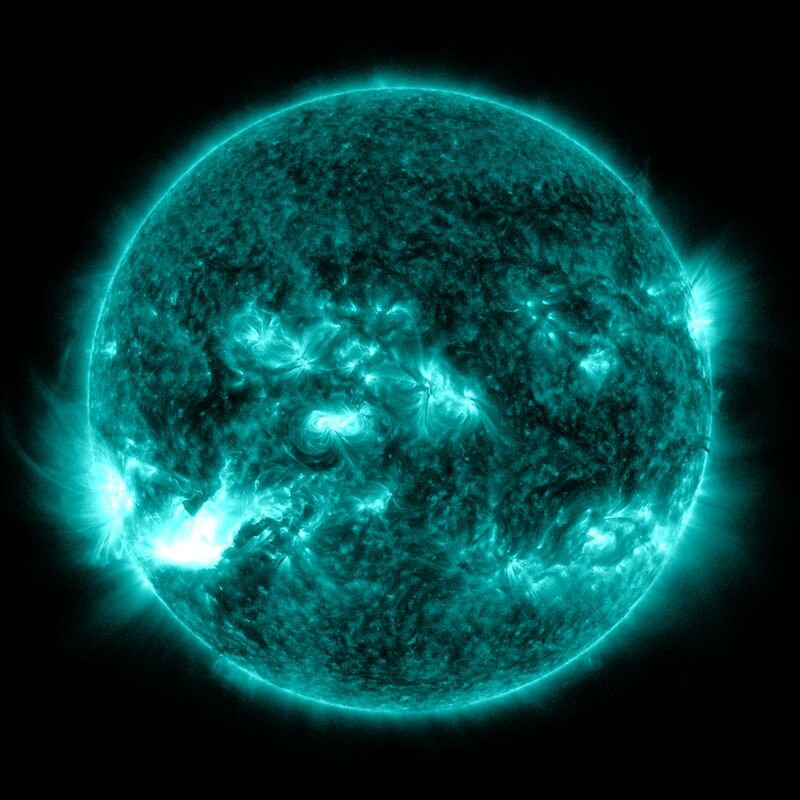 SDO movie at 211Ångstroms of the filament eruption on August 31, 2012. High-Def version. 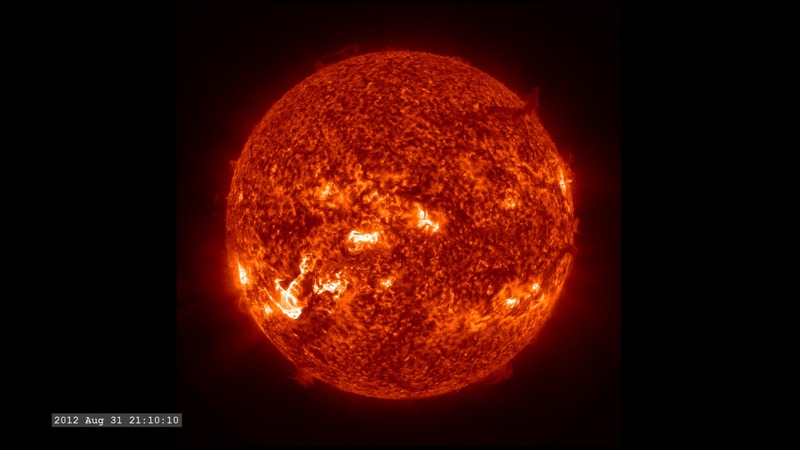 SDO movie at 171Ångstroms of the filament eruption on August 31, 2012. 1Kx1K movie & 4Kx4K frames. 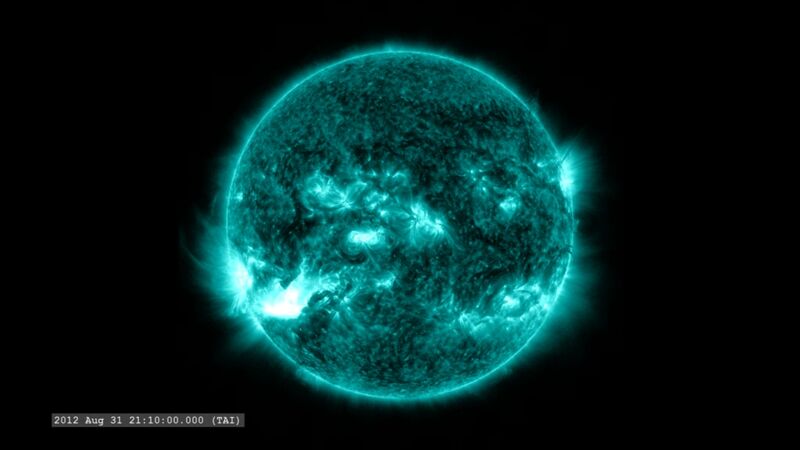 SDO movie at 304Ångstroms of the filament eruption on August 31, 2012. 1Kx1K movie & 4Kx4K frames. 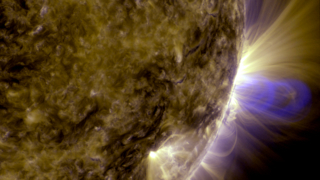 SDO movie at 131Ångstroms of the filament eruption on August 31, 2012. 1Kx1K movie & 4Kx4K frames. 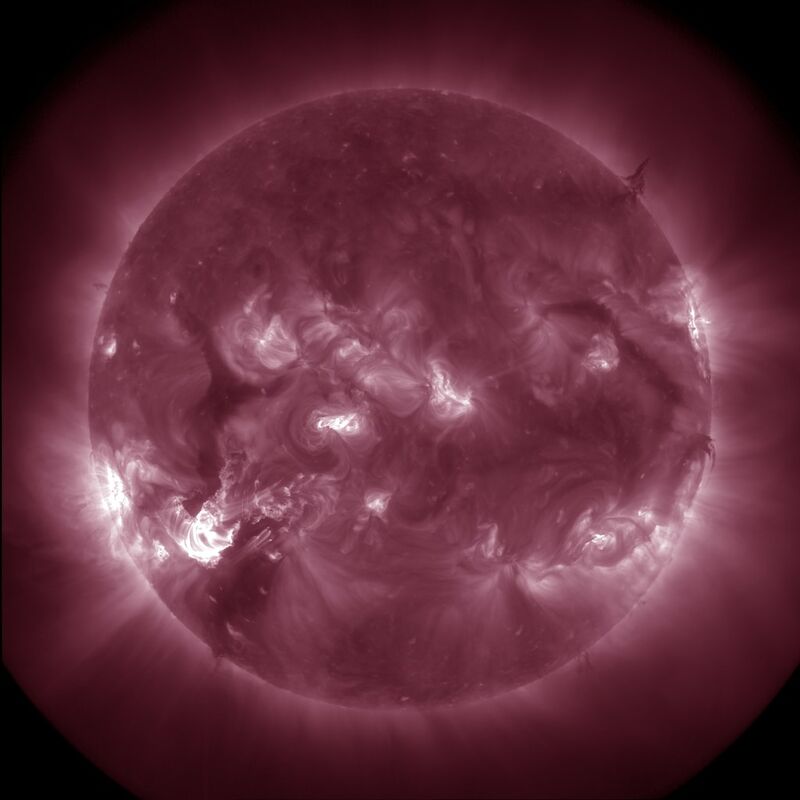 SDO movie at 193Ångstroms of the filament eruption on August 31, 2012. 1Kx1K movie & 4Kx4K frames. 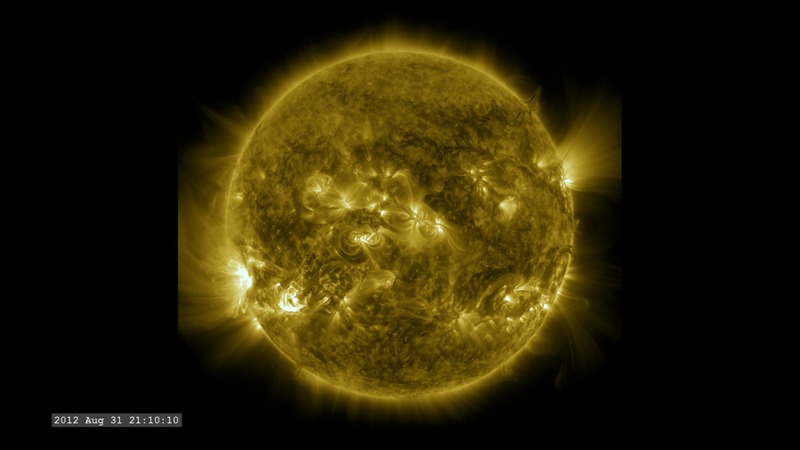 SDO movie at 211Ångstroms of the filament eruption on August 31, 2012. 1Kx1K movie & 4Kx4K frames.